With a portfolio of 22 billion-dollar brands that generated over $1 billion each in estimated annual retail sales in 2016, spanning Beverages, Snacks and Nutrition, sold in more than 200 countries and territories around the globe, PepsiCo takes particular care, when communicating to children and their caregivers about its products, to do so responsibly. Tweet This! 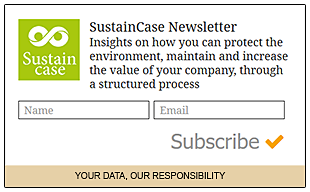 This case study is based on the 2016 Sustainability Report by PepsiCo published on the Global Reporting Initiative Sustainability Disclosure Database that can be found at this link. Through all case studies we aim to demonstrate what CSR/ ESG/ sustainability reporting done responsibly means. Essentially, it means: a) identifying a company’s most important impacts on the environment, economy and society, and b) measuring, managing and changing. In its 2016 Sustainability Report PepsiCo identified a range of material issues, such as human rights, workplace safety, talent attraction, engagement and growth, corporate governance, risk management and compliance, packaging and waste. Among these, marketing its products to children responsibly stands out as a key material issue for PepsiCo. To identify and prioritise material topics PepsiCo obtained feedback from key internal and external stakeholders through interviews, surveys, and a review of source materials. What actions were taken by PepsiCo to market its products to children responsibly? PepsiCo’s Responsible Advertising to Children Policy provides that on a global basis, the company will advertise to children under age 12 only those products that meet PepsiCo’s Global Nutrition Criteria for Advertising to Children. The Responsible Advertising to Children Policy also includes a prohibition on advertising products that do not meet certain nutritional requirements in television programmes whose audience profile is made up of more than 35% children under the age of 12. In addition, PepsiCo adheres to all relevant laws and regulations within the countries in which it operates and has adopted the International Council of Beverages Associations Guidelines on Marketing to Children, which restrict beverage categories that may be marketed to children. PepsiCo has also signed on to industry-led voluntary initiatives through various global, regional and national Pledge Programmes, which are based on the principle that signatories advertise only products that meet specific common nutrition criteria to children under the age of 12. Every division and region within PepsiCo around the globe has a process for reviewing and approving marketing campaign materials to, among others, drive compliance with PepsiCo’s Responsible Advertising to Children Policy and Pledge Programmes. These processes require cross-functional review, consultation and approval prior to the release of any content, to ensure PepsiCo’s campaigns are in compliance with local laws, clear and truthful, not misleading, and in line with PepsiCo’s Values and Code of Conduct. 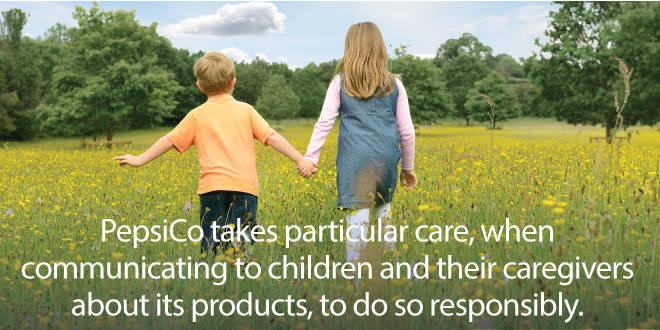 PepsiCo also monitors and reports compliance with its Responsible Advertising to Children Policy. Thus, in the third quarter of 2016, PepsiCo achieved 95% compliance with its responsible Advertising to Children Policy in globally representative markets such as Colombia, India, New Zealand, Philippines and South Africa – and, in the first quarter of 2017, in six EU countries. Outside of the U.S., PepsiCo’s global policy for beverage sales in schools focuses on providing water, juice, milk and low-calorie beverages for students. PepsiCo-owned bottling operations offer nutritious hydration options for students and collaborate with schools to eliminate full-calorie soft drinks in primary and secondary schools. Additionally, PepsiCo works with its independent franchise bottlers, third-party vending companies and other PepsiCo beverage distributors, schools and local authorities, to implement this policy beyond PepsiCo’s direct operations. In the U.S., PepsiCo Beverages North America provides schools, through its bottling partners and third-party distributors, with a portfolio of low-calorie and nutritious beverage choices which includes bottled waters, juices, no- or low-calorie carbonated soft drinks, juice-flavoured drinks and iced teas. Note to PepsiCo: With each case study we send out an email requesting a comment on this case study. If you have not received such an email please contact us.